This product and packaging would satisfy me aesthetically and digestively! 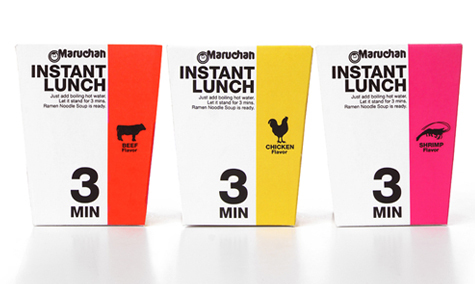 This is a great packaging concept for Maruchan by student Kota Kobayashi. Minimal, direct, bold, simple... awesome! Great colors, icons and numerals.